David Rees, AM for Aberavon, was pleased to join Leighton Andrews, Assembly Member for Rhondda, and Edwina Hart, Minister for Economy, Science and Transport, to meet members of the Rhondda Tunnel Society for a visit to the tunnel site on Monday. 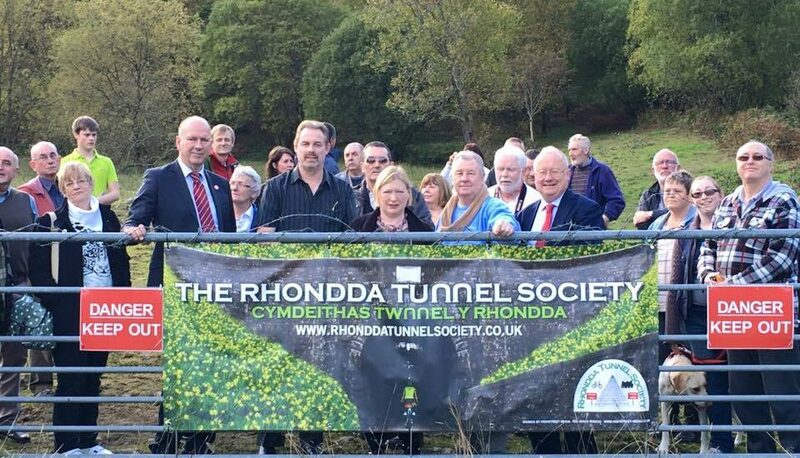 After meeting members and supporters at the Hendrewen Hotel in Blaencwm, the group went to the Rhondda portal of the tunnel to see the area for themselves before engaging in discussions on the feasibility study and the project’s future prospects. The campaign to re-open the tunnel took a major step forward over the summer after a three-day inspection… found the 125-year structure was in a generally good condition. The next big milestone for the project will be to excavate the Blaencwm portal to allow access to the tunnel but prior to that further surveys have to take place.